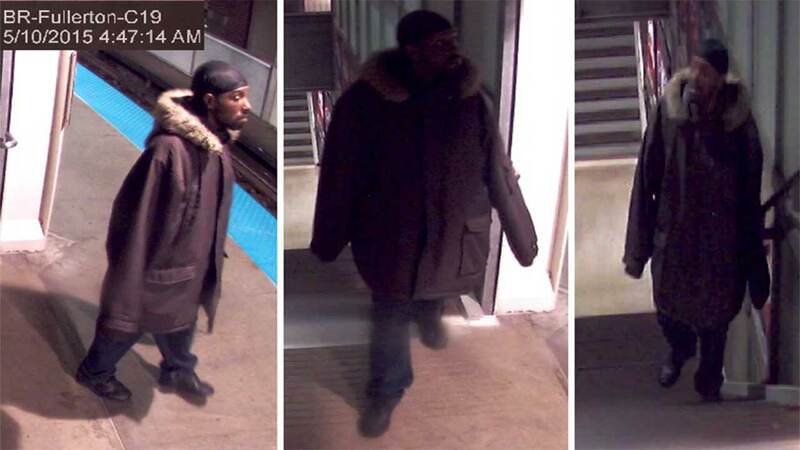 CHICAGO (WLS) -- A man attempted to sexually assault a 27-year-old woman riding on a CTA Red Line train on the city's North Side early Sunday morning, police said. The woman and her alleged attacker were the only two passengers inside the southbound train between the Fullerton and Clark/Division stations around 5 a.m. Sunday morning. The woman declined medical attention, police said. A man attempted to sexually assault a 27-year-old woman riding on a CTA Red Line train on the city's North Side early Sunday morning, police say. The assailant is described as a black man between 35 and 45 years old, standing between 5-foot-6 and 5-foot-8 and weighing between 130 and 150 pounds. He had short black and gray hair with a short but full beard, and was wearing a long tan jacket, police said. He also had long fingernails and crooked teeth, police said. Police are working with CTA officials to get photos of the attacker from surveillance cameras inside the train car. Sun Times Media Wire contributed to this report.